Welcome to Spring....Thought I would share an interesting article from the BBC News...Study finds association between gum disease and cognitive decline in people with Alzheimer's. It was reported that early stage research supported link between gum disease and a greater rate of cognitive decline in people with Alzheimer's disease. The U of Southampton and King College London led the study. The study found the presence of gum disease or periodontitis as it is known was associated with a six fold increase in the rate of cognitive decline. Dentist Dr Mark Ide from K College London said " In just six months you could see the patients going downhill-it's really quite scary. It was reported that research on previous evidence which has linked periodontitis with higher levels of inflammatory molecules associated with the deteriorated mental health, that study suggested that the body's inflammatory response to gum disease could explain the link between gum disease and cognitive deterioration. So a word to the wise...Brush and FLOSS on a regular basis. Until next month enjoy the oncoming better weather. Think you might need a root canal? It's not the end of the world, nor is it as torturous as you might think! 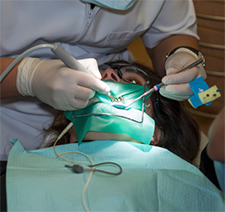 Even though a root canal is usually the last resort for decayed teeth, when compared with other alternatives, it's quite practical and cost-effective. 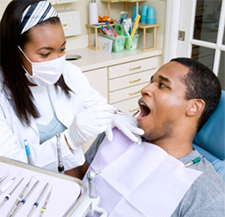 Your teeth look and feel just fine, so what harm can there be in skipping one checkup? Plenty... and it's not just a free toothbrush and dental samples you'll miss! A lot can happen in just a short period of time, and the ramifications of canceling your semi-annual dental checkup can go beyond your oral health. Parents, in particular, want to know: does DNA predetermine dental health? It's the classic nature vs. nurture question that dentists get asked often, but the answer doesn't simply boil down to one or the other. The scary truth is that many dental problems are indeed "inherited"—but not from genetics alone! 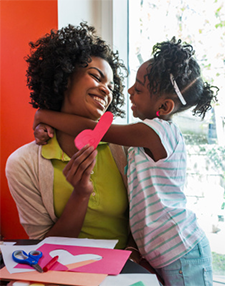 Harmful habits that run in the family can also play a huge role in the health of your child's smile. Find out which oral issues you could be passing down, and what you can do about them.